Though he struggled to grab A-list celebrities to perform at his inauguration, Donald Trump successfully attracted 2 million people less than 24 hours after he took office to protest most of the things he stands for. 2 million. 161 cities. And some NASTY women! Former Angelica Schuyler and Hamilton Tony Award winner took to the streets of NYC with the caption "weak men fear powerful women." WERK! 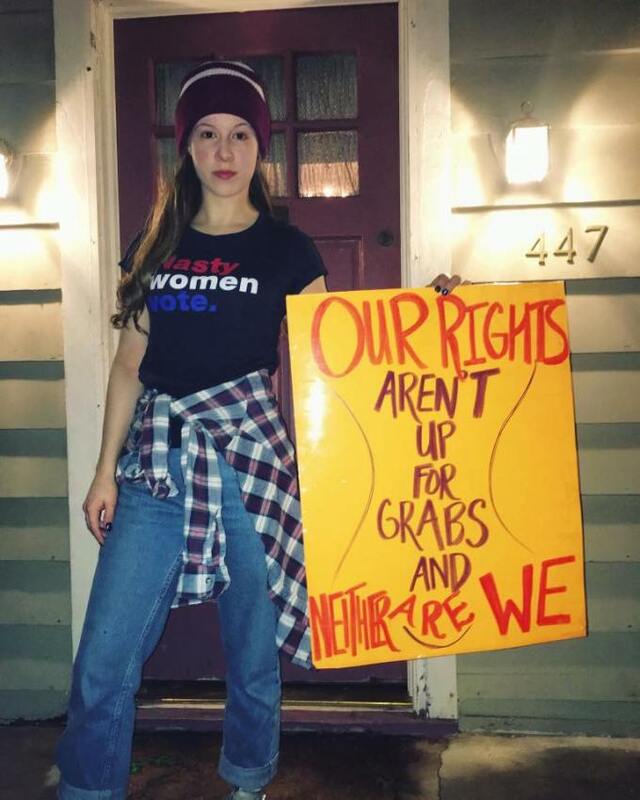 "The Nanny" actress Laura Lane, as well as actresses and activists Rachel MacKnight, Marisa Jones, and Shannon Richey, marched gallantly in Austin and NYC. Double Amy. The girls hit it off at the Women's March in D.C.
Empowering young actress Michelle Beth Herman marched in NYC with mom Deborah Kirshenbaum Herman as a proud mother/daughter team. 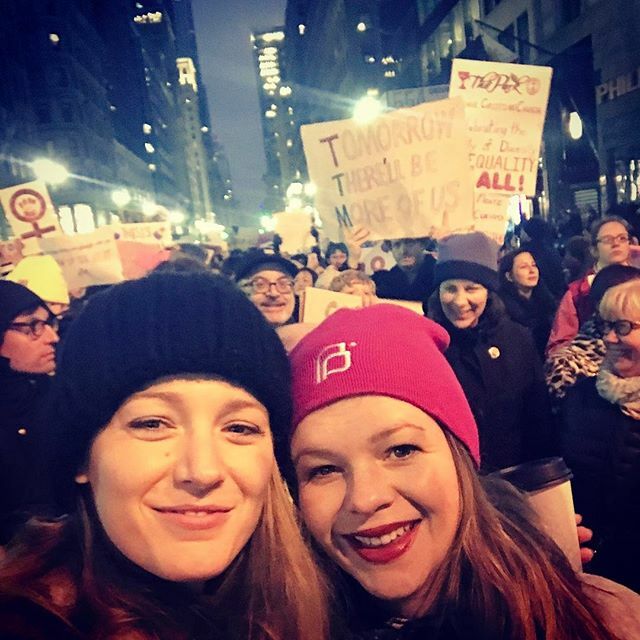 Costars America Ferrera, Blake Lively and Amber Tamblyn met up at the women's marches in NYC and D.C. on Jan 21. Sisters for life. Outspoken young actress Austen Danielle Bohmer donned her fiercest garb for the march in D.C.
Broadway bombshell Betsy Wolfe (Bullets Over Broadway, Falsettos) was spotted in NYC with In Transit star Margo Seibert and "Modern Family" actor Colin Patrick Hanlon. Among the crowd was actress Zendaya, 20, taking over Vogue's snapchat account for the event. Actress and very good friend of mine Kayley Anne Collins marched in NYC with "Christmas socks because it's STILL THE MOST WONDERFUL TIME OF THE YEAR." History has its eyes on you, Mr. President.